Well, folks, National Novel Writing Month is coming to a close. I can hear the tappity tapping of each little key as NaNovelers frantically try to meet their deadline! What better time for another fabulous guest post? Today I'd like to welcome Deva Fagan, author of Fortune's Folly (Henry Holt & Co., 2009), The Magical Misadventures of Prunella Bogthistle (Henry Holt & Co., 2010), and the upcoming Circus Galacticus (Harcourt, 2011). I first did NaNoWriMo back in 2003, and it was a wonderful experience. I tried it again last year and failed miserably. Don’t worry, though, this isn’t going to be a tale of woe and misery. I still think NaNoWriMo can be a great tool. But as with everything in your writing kit, you have to decide if it’s the right tool for you, and for your current project. In 2003 I had been grinding away on a long, serious epic fantasy novel for the past year or more, when a friend of mine told me about NaNoWriMo. He said a bunch of other folks I knew were going to give is a shot, and invited me to join them. By that point I was sick of my “serious” book, and also kind of desperate to meet some other writers. So I dusted off a funny little idea about a girl who told fake fortunes, and said yes. The six of us created a Yahoo group to cheer each other onward. And at the end of the month, I had over 50K. A few weeks later, I had a completed draft of Fortune’s Folly. A few years later, that book got me an agent, and then a publishing contract. And now it’s out there in libraries and bookstores. Sure it’s changed some-- I completely rewrote the ending and went through at least five beginnings-- but the heart of the book remains the same as the story I was madly outlining on October 31, 2003. Fast-forward to last year, when I decided to give NaNoWriMo another try. I’d written a couple other books since 2003, and sold a couple of them. I had an idea for a new book, and I figured NaNoWriMo would be a good way to kick-start it. I think I wrote about 6K words total that month. And then I didn’t write anything at all in December. First, I had a support group in 2003. Okay, the competition probably helped too. I sure didn’t want to be the ONLY ONE in the group who didn’t finish! (And in fact all of us DID finish, go team!) Last year, while I did know folks who were doing NaNoWriMo, and added dozens of “buddies” to my list, it wasn’t the same. I think it’s fantastic that NaNoWriMo now has such a rich array of forums, but I also think that for folks like me, it can be more helpful to form a smaller, more focused support group. Second, I picked a project in 2003 that was light and breezy. I do like to think there are some deeper themes and issues in Fortune’s Folly, but it’s also fairly plot-driven. The book I was trying to write last year was darker, more emotional, and more character-driven. So maybe it just wasn’t a good choice for NaNoWriMo: the more I forced the words out, the more I hated what I was writing. Third, last year I was lazy. I have no excuse for that except that I had recently discovered Project Runway. So would I do NaNoWriMo again? Definitely. (I may even have signed up for this year...) The best thing about NaNoWriMo, in my opinion, is the kick-in-the-pants it can give us when we’re struggling to get started on something. So if you need it, go out there and grab some of that enthusiasm! But if it’s not working for you, or for this book, give yourself permission to break the rules, and do what is best for YOU and YOUR BOOK, whether that’s writing fast, or slow, or somewhere in between. 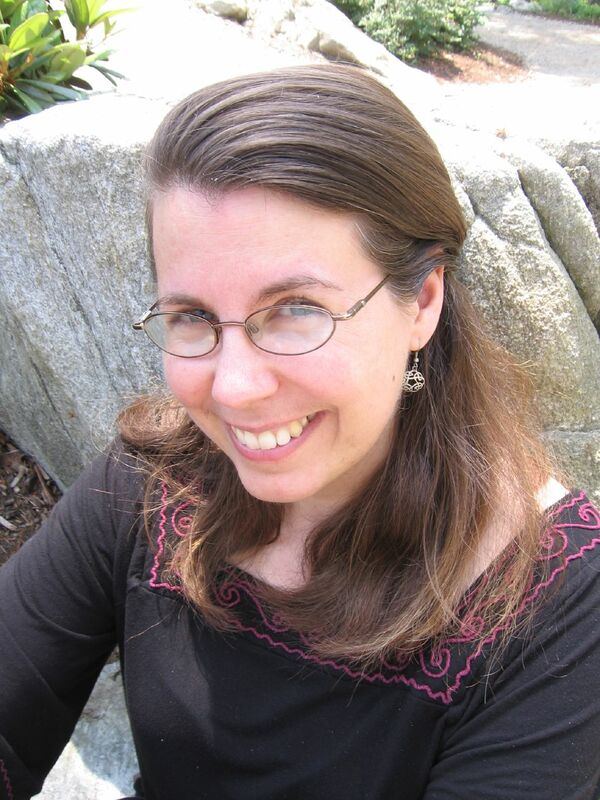 Deva Fagan writes fantasy and science fiction for teens and tweens. She lives in Maine with her husband and her dog. When she's not writing she spends her time reading, doing geometry, and dressing up as imaginary people. She believes stories have the power to change the world. You can read more about Deva and her books at www.devafagan.com. So, NaNovelers, take heart! If you're able to finish, fabulous! If not, there's always next year, or maybe NaNo's just not the right tool for you or for your book. Thanks, Deva, for wrapping up our NaNoWriMo guest posts with such a super one!